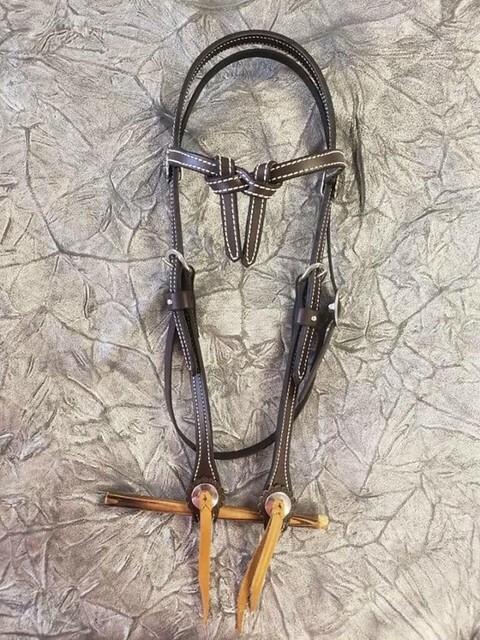 We make a variety of headstalls, from horse snaffle bridles, to horse training bridles, to silver showpieces. 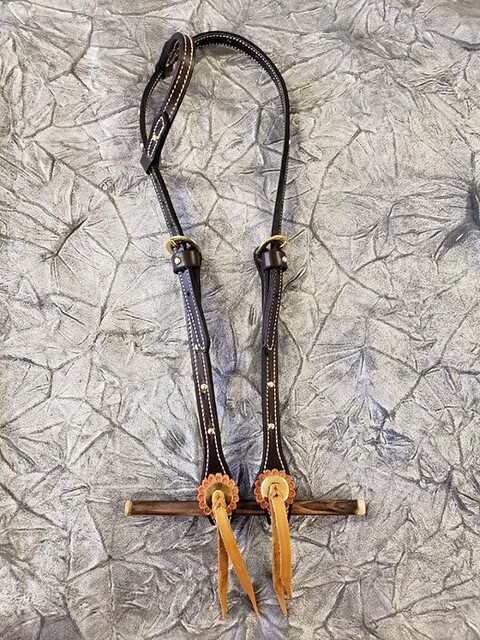 Our double and stitched headstalls are made of heavy russet skirting leather, lined with a durable oiled latigo or skirting depending on availability. The double ply headstalls are doubled for strength, protection and durability. 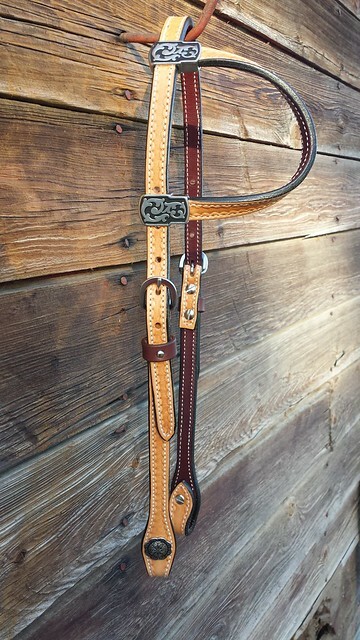 Stitching may be available in white stitching or brown. All stitches lay in a stitch groove, so thread is flat with the leather for protection. 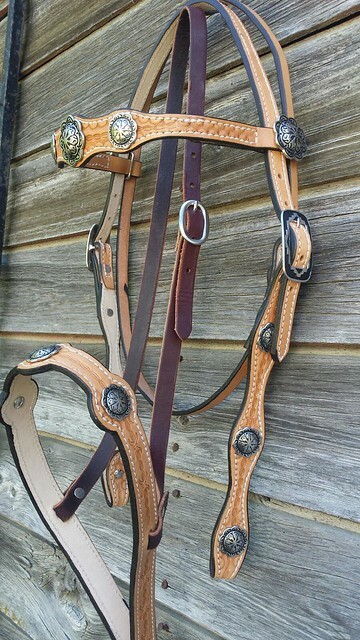 All edges are rounded by hand for a nice smooth finish, no sharp edges rubbing on your horse and then they are edge dyed. All headstalls are also protected with a clear coat to help protect them from the elements. 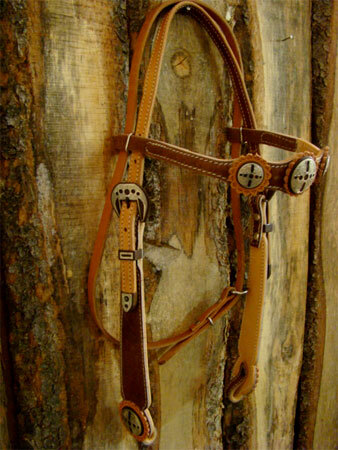 Single ply latigo or harness headstalls are also available; they are great for training or working. Stitching may be available in white stitching or brown stitching is available. All stitches lay in a stitch groove, so thread is flat with the leather for protection. 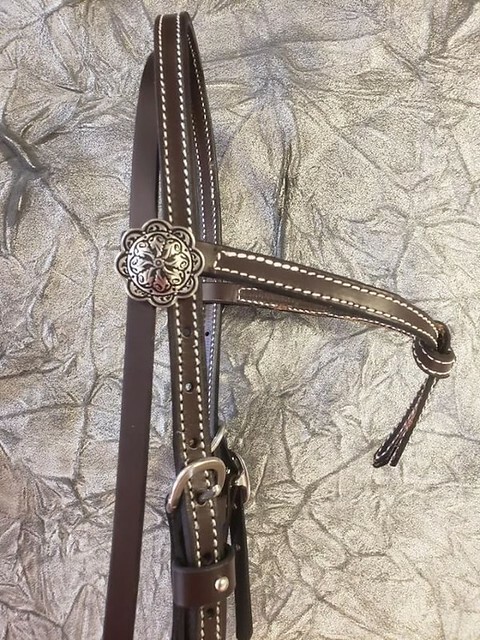 All edges are rounded by hand for a nice smooth finish, no sharp edges rubbing on your horse and then they are edge dyed. All headstalls are protected with a clear coat to help protect from the elements. 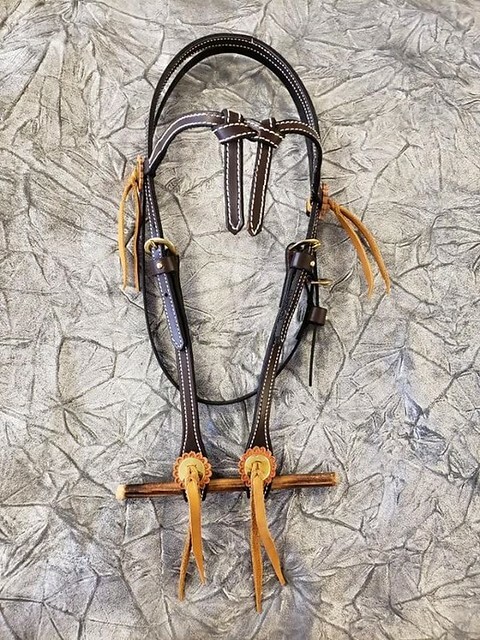 All of our single-ply and double-ply headstalls are available in a variety of brows, depending on your taste. 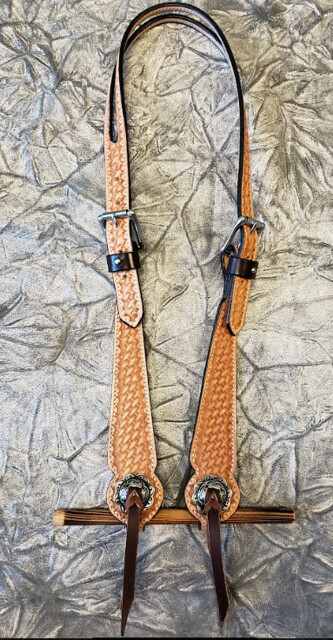 You can decide on the following one ear, two ear, buckaroo brow, knotted brow, scalloped brow and the normal brow (available in a normal width or a one inch width). Like the brows the cheeks are also available in a variety of styles; normal cheek, scalloped cheek, gag cheek, straight cheek, and tear drop cheek. 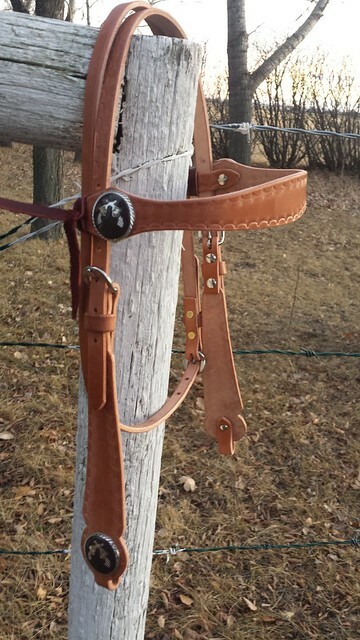 The headstalls can have Chicago screw or tie bit ends, or the buckles can be sewn in. 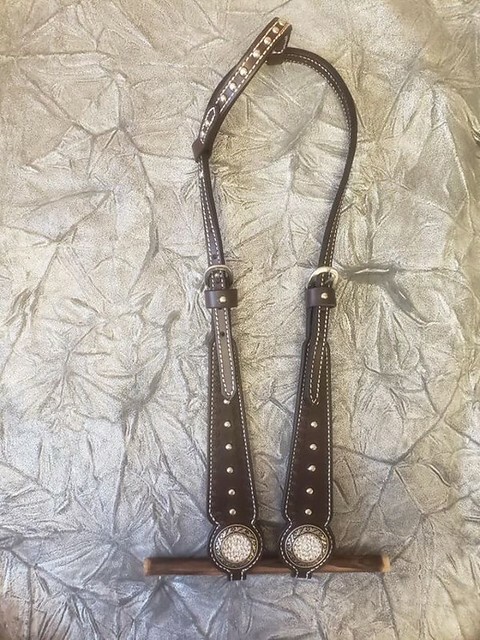 You may choose between Stainless Steel and Solid brass hardware, silver buckles and conchos, Chicago screws and laced conchos are available. Keep them plain or dress them up with silver, spots and or rosettes, and tooling in floral or in stamping. 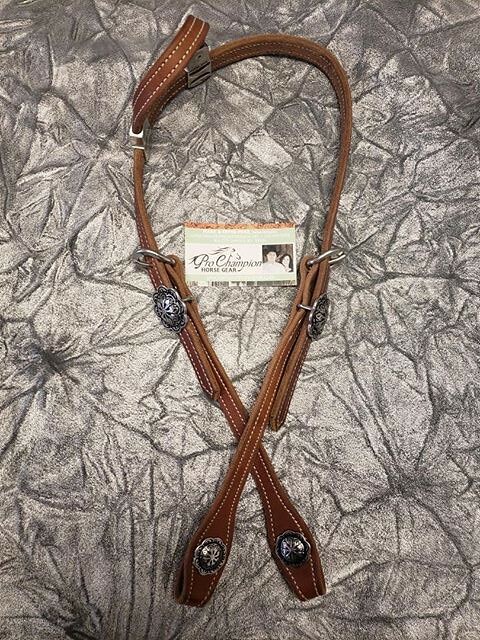 Having troubles finding a headstall to fit your horse, we can make one to fit just the way you want larger or smaller. 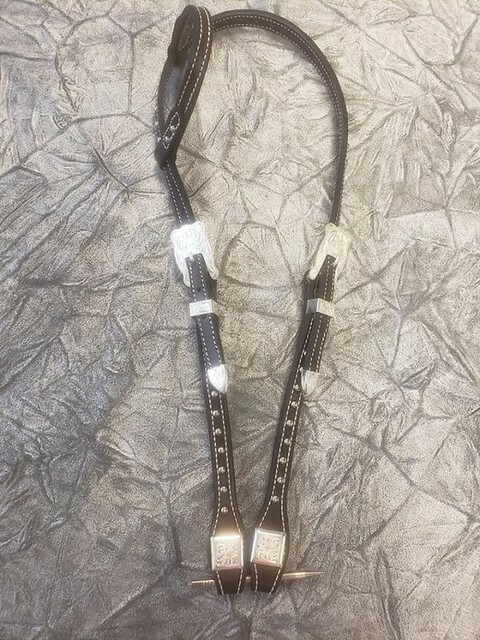 Please contact us for further details on how to measure your horse to get the best fit for their head. 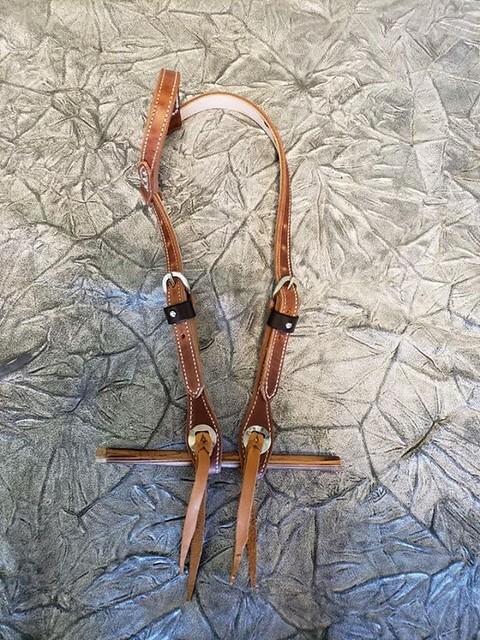 Pro-Champion Horse Gear also sells a lot of headstalls that are used as awards. 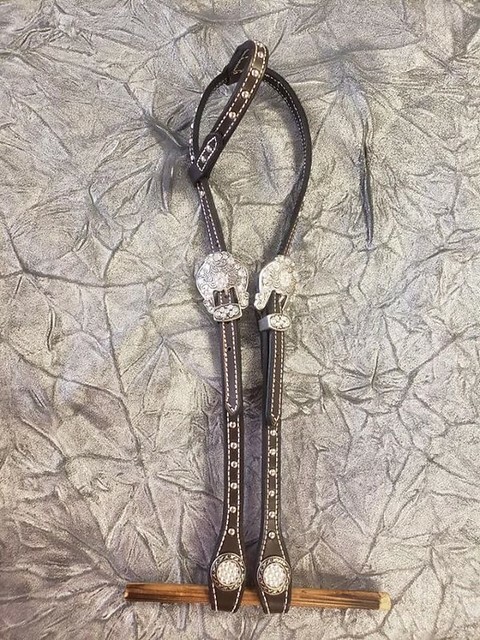 You may have some wording applied to the brow band of a buckaroo headstall, on a tear drop cheek, however we sell many as awards without any tooling at all. 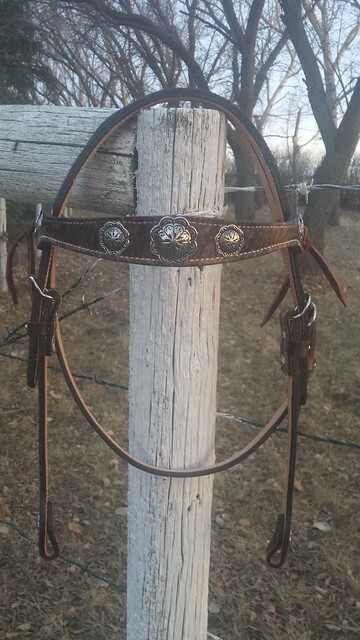 All of our headstalls are extremely durable, yet awesome in looks. 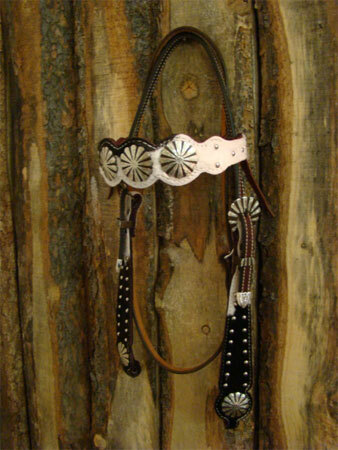 You may dress up any headstall with silver, tooling, and also "Hair On Cowhide".